To order, call (484) 755-5250 or email info@fox-theatres.com. *Subject to surcharge for 3D and FTX films. Tickets are non-refundable, may not be resold and may not be redeemed or exchanged for cash. Tickets cannot be used for special events, including Fathom Events. 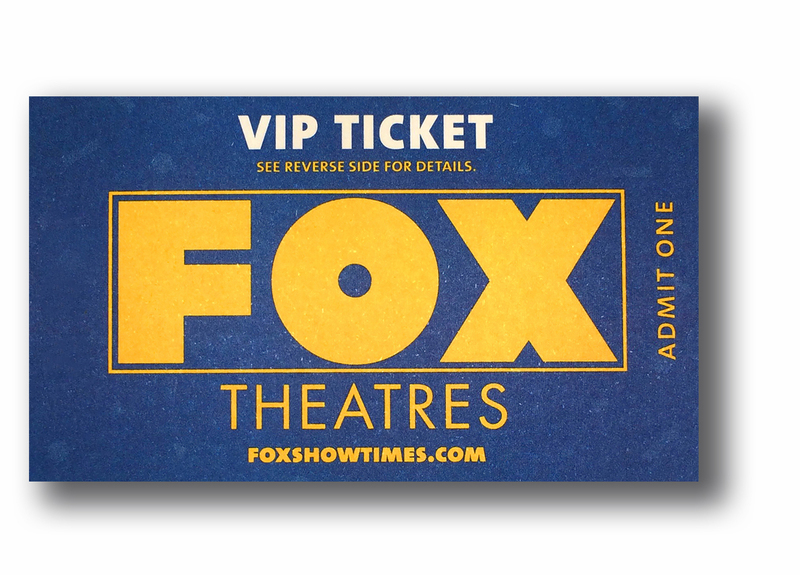 Fox Theatres reserves the right to change these terms and conditions without notice, including changes and additions to surcharge fees, restrictions or exclusions.